By finding this website, you've already started in the right direction. Feel free to browse this site & get to know Pasadena Dentist, Dr. Hong Kim. Pasadena area for many years. He has been dedicated to providing the highest quality of care in a compassionate, comfortable setting for all patients. Dr. Kim has years of experience in a diversity of settings ranging from hospitals, inner-city mobile clinics, rehabilitation centers, and private practice. their dental care & oral health, but also to them as real people. Want to straighten teeth but do not want the metal appearance of conventional braces? 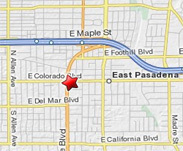 Pasadena Dentist Dr. Hong Kim provides quality dental care and makes beautiful smiles become a reality. Providing a wide variety of dental procedures including Implant Restorations, Fillings, Crowns, Whitening, Bridges, Smile Makeovers, Veneers, Teeth Whitening, and many other services. All of this available in our conveniently located Dentist office in Pasadena, CA.